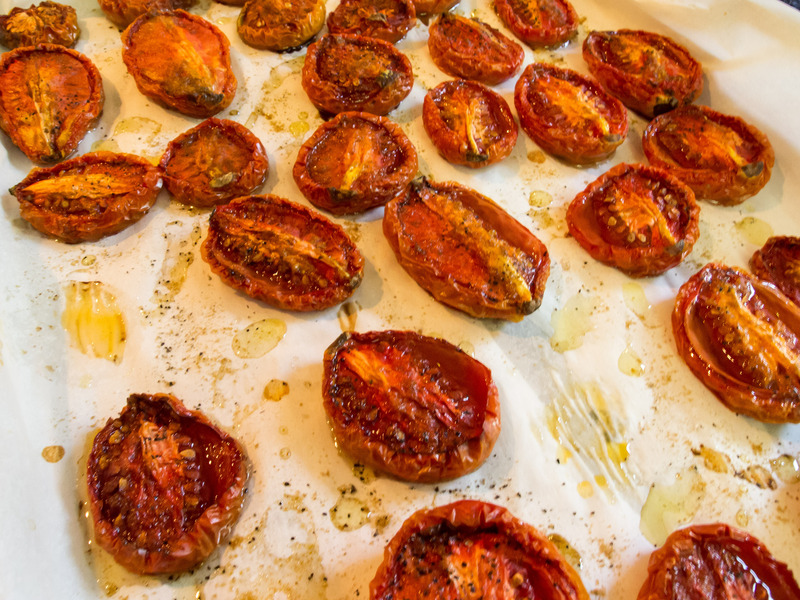 A few years ago, The Washington Post posted a recipe for 12-Hour Tomatoes. I tried the recipe once and was hooked. They develop such a deep, rich flavor after spending all those long hours roasting at a low heat. These are so versatile and can be used in so many ways. I’ve used them as a topping to a baguette smeared with fresh ricotta, mixed in to Kale Pesto Pasta, chopped up to add to soups and stews, added to a vegetable rice mix, cooked down to make a pasta sauce or stewed with chicken breasts. I make a huge batch each year and freeze them, pulling them out a few at a time to punch up the flavor of whatever I’m adding it to. I use Roma tomatoes for this recipe, but any tomato that doesn’t have a lot of water content will be good here. I think smokey spices pair really well with these tomatoes. I used cumin as my spice of choice for this recipe, but have used a smoked paprika in the past, and that works great too. According to the Washington Post “the tomatoes can be refrigerated in an airtight container for up to 2 weeks or frozen in heavy-duty plastic freezer bags for up to six months. If your refrigerator is under 38 degrees, you can pack the tomatoes into glass jars, covered with olive oil, for several months.” See, really versatile! One final note, is that I roasted those overnight and left the oven on during the evening, but my oven did automatically shut off at 12 hours, so check your oven’s owner’s manual to see if there are any restrictions you should know about. 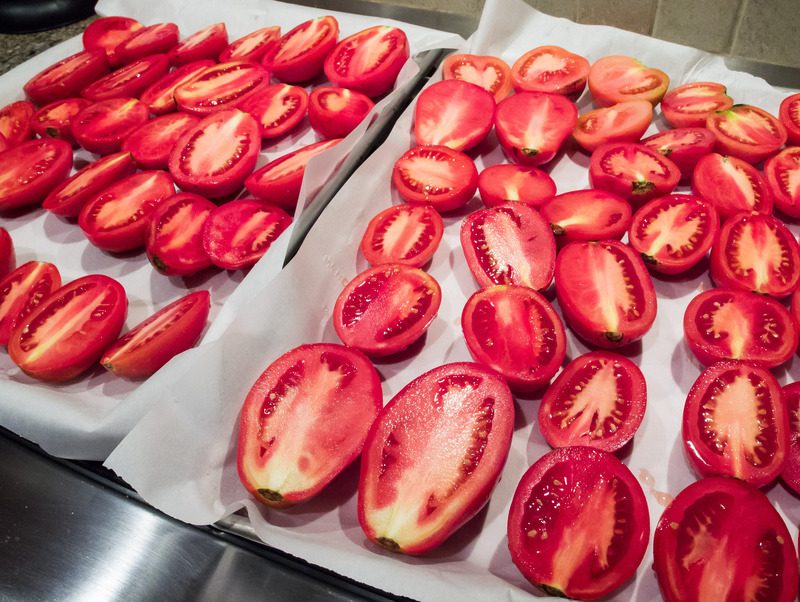 Slice the tomatoes lengthwise in half and place on two baking sheets. Add an even sprinkling of salt and pepper over the tomatoes. 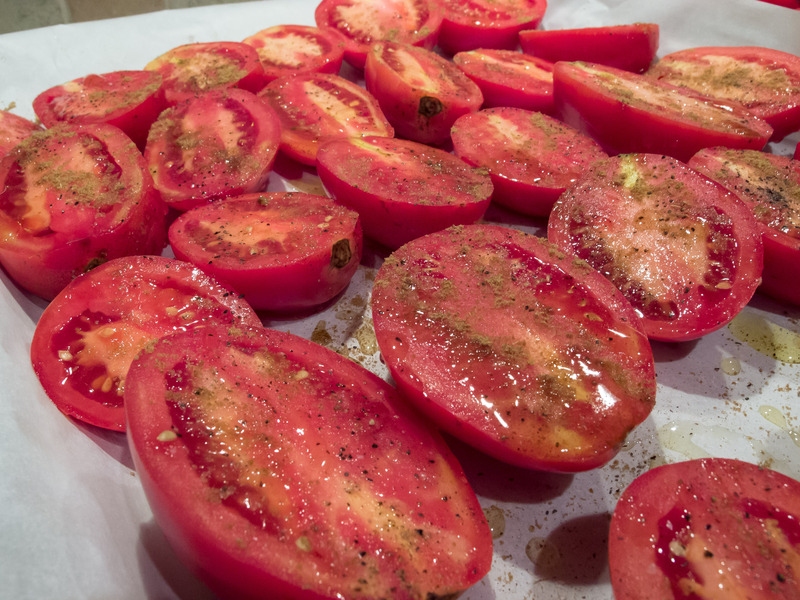 Sprinkle the olive oil over the tomatoes and add a light sprinkle of cumin to each tomato half. Around the halfway mark, rotate the pans to ensure even heat. If your tomatoes are on the small side, they may be done around the 8-9 hour mark, but larger tomatoes may go up to 12 hours. 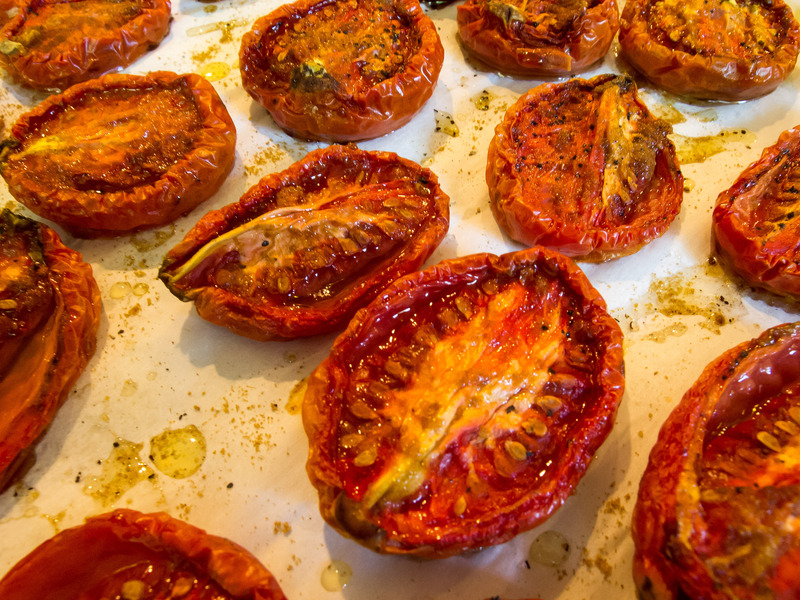 The tomatoes are ready when they are shriveled up, but still moist on the inside. Remove from the oven and let cool. 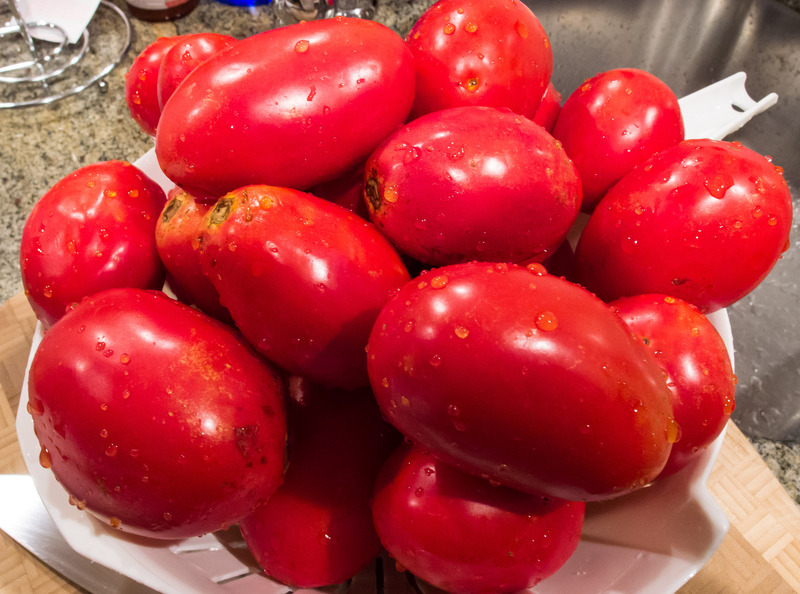 Move to the refrigerator for up to two weeks, or freeze tomatoes on a plate or pan before moving the frozen tomatoes to the freezer in freezer-safe plastic bags.